Gilgal operates two residential recovery homes, as well as one administrative building. Each facility is equipped and staffed to aid women in their recovery and transition to independent living. Gilgal women receive individualized assessments, comprehensive case management, and ongoing programming and support services in a clean, safe environment. We also provide them with the basic essentials (food, clothing, housing), as well as biblical enrichment to support their spiritual growth. During the healing phase women who are battling drug/alcohol addiction stay in The Life Exchange Center. This phase is typically four to six months and is highly structured. The residents receive individual assessments and case management plans. In addition to attending daily classes, they participate in group and individual counseling, Bible study, and personal reflection. The women also have access to on-site health services.The goal of the healing phase is to assist women in breaking the cycle of defeat that led them to drug and alcohol addiction and help them exchange it for a cycle of victorious living through Christ Jesus. Women who successfully complete the first phase, move to our second residential home and enter our Homeward Bound program. This phase is for individuals ready to begin looking for work. Residents continue group and individual counseling as they prepare to enter the workforce. This phase is designed to mimic independent living. Women learn to use their acquired job search skills, while exploring career options, and ultimately attaining employment that pays a living wage. Recovery does not end when a resident graduates from Gilgal. Clients are more likely to be successful in maintaining a sober lifestyle if they are involved in recovery activities on a long term basis. Gilgal provides weekly Aftercare for graduates through a forum where clients explore successes, obstacles, and daily issues that confront them. They also receive support and feedback from the group facilitator and participants, as well as community referrals for outside resources. We serve women only; no children. We want our clients to focus 100% on their recovery. Clients must be homeless and addicted to drugs and/or alcohol. Clients must be at least 18 years old and mentally and physically able to work a rigorous program. Controllable mental illness is NOT a barrier to admission. Clients must detox before entering the program. 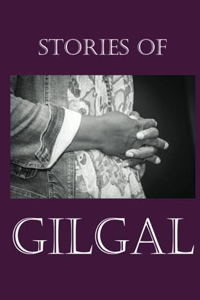 *Gilgal does not discriminate based on religion, race, sexual preference, or HIV/AIDS status. Contact us for more information about our programs.